Recently I have been out hunting for reindeer, hoping for the rare chance of getting the perfect shot with my camera but it has been harder than I first thought. One day you will see a field with a hundred reindeer, the next they will be gone without a trace. Finding reindeer in the woods is near impossible, the dense trees make it hard to see them and they hear you before it’s possible to get close enough. I found a large herd and at first took my photographs from the car. Surprisingly, reindeer won’t move when they see a car but as soon as you get out they are off. After a moment I slowly got out and stood between trees, even though many of the animals had already spotted me and begun to move away. As I stood on the outskirts of the field, trying not to move, I thought about what I was doing. 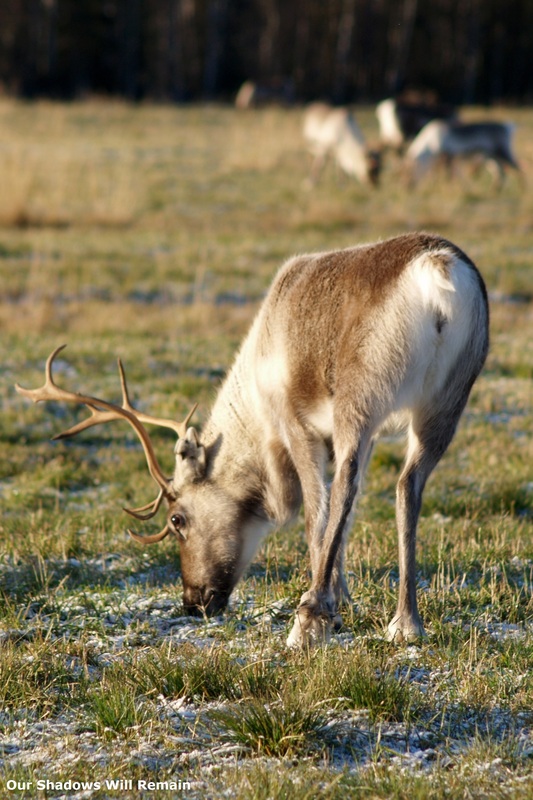 The reindeer are essentially livestock and I couldn’t imagine myself chasing cows or sheep around a field but there is something different about these animals that I will always admire. This week I will be posting a new reindeer photograph everyday.